At the halfway mark, Walsh trailed Weiss by a hundredth, 27.55 to 27.56, but hammered home in 30.63 to win it. 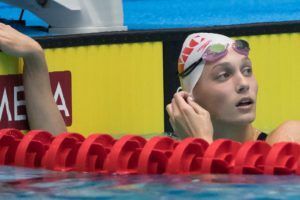 The Carmel Swim Club of Carmel, Indiana led 4 teams under the old SC Juniors overall Meet Record, and eventually came away with the mark in 6:28.25. That also broke the old 15-18 National Age Group Record in the event that was a 6:28.90 set by SwimMAC Carolina in 2013. 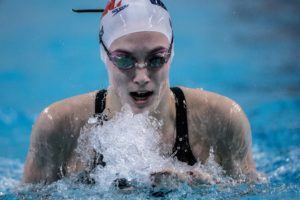 The Nashville Aquatic Club bettered the 15-18 National Age Group record, but with 14-year-old Gretchen Walsh on the team, the record doesn’t officially count. Gretchen Walsh came as close as she could get to breaking the 22-second barrier, once again taking down the 13-14 NAG Record as she touched in 22.00. 16-year old Destin Lasco, long known for his age group record-breaking pursuits, had perhaps the most peculiar swim of Saturday morning’s prelims session at the 2017 Speedo Winter Junior Championships – East. Lasco was the 2nd qualifier through in the boys’ 100 free in 43.78, behind only defending champion Drew Kibler. What was unique about his swim is that he negative split the 100 yard free. 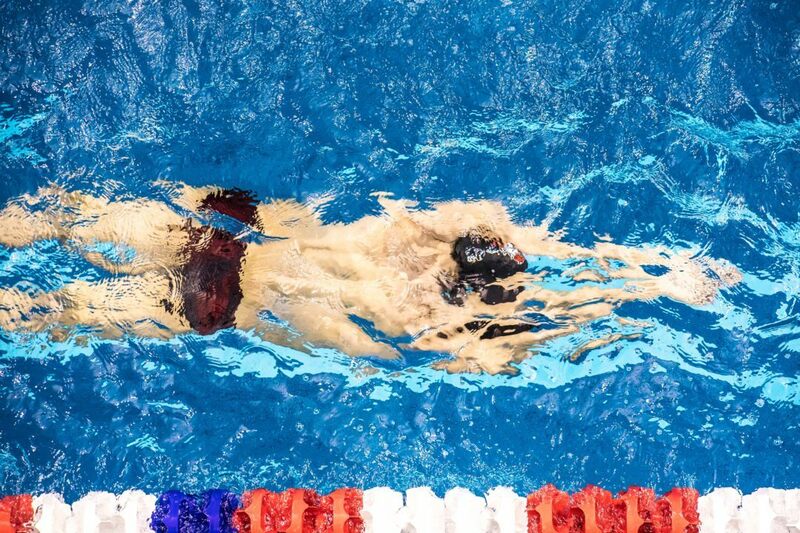 Negative splitting, for the unindoctrinated, is when the swimmer gets faster as the race goes on – typically used to describe when the second half of a race is done in a shorter time than the first. This happens with some commonness in backstroke races, because the backstroke start is less of a speed advantage than a forward dive off a block. 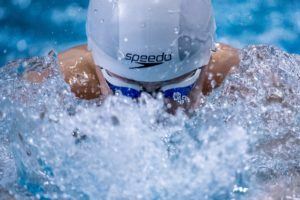 It also happens with some regularity in distance races – because again, after 500 or 1000 or 1650 yards (or their metric equivalents), the impact of that speed boost on the dive can be overcome. At any serious level, though, it’s basically non-existent in sprint freestyle events. Lasco’s previous best time swim, in April at the Middle Atlantic SC Senior Championships, was a 44.52. There, he split 22.03/22.49 – still a much lower spread than most swimmers at that level, but not a negative split either. For reference, the smallest spread in either the A Final of last year’s NCAA Men’s Division I Championship in this event was the defending World Champion, Caeleb Dressel, who split 19.01/20.99 for a 40.00 (which, incidentally, is the fastest time ever done in this race). Dylan Carter had a 2.00 second spread and Blake Pieroni had a 1.99 seconds spread in 4th and 8th places. In the B-Final, 9th-place finisher Townley Haas had a 1.86-second spread, while Alabama’s Lauren Bams had just a 1.36-second spread. 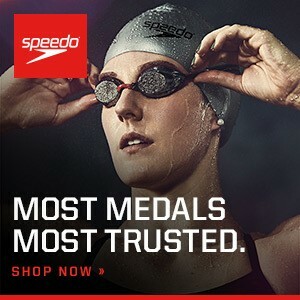 What do all of those swimmers have in common? 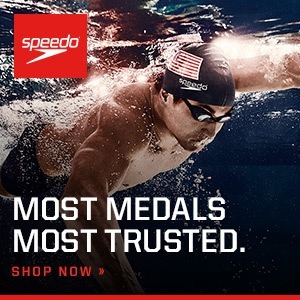 They’re all very good-to-great 200 freestylers: with the exception of Dressel, they all swam the 200 free at NCAAs as well (and Dressel has shown that he’s got the 200 free in his arsenal – but just hasn’t had the chance to show it off much yet). Lasco is likewise a better 200 freestyler than 50 freestyler, so he fits the trend in that regard. Lasco also negative-split his 200 backstroke on Saturday morning, going out in 52.38 and back in 50.61 for a best time of 1:42.99. Negative splits in that race aren’t as uncommon, but that’s still a pretty big margin by which to negative split the race. In the 100 back final on Friday, he split 23.27/23.46 for a 46.73 and 1st place. he also negative split a 200 back. i think he went 52 (25/27) and then a 50 (25/24). Dangit, meant to look up what he did in his backstroke races and include it. Thanks for beating me to the punch! What club does he swim for? Destin swims with Pva pleasantville aquatics. He won the 100 back and came in 2nd in the 200 back.